Counting calories while eating? Well, a little bit of cheating will not do that much harm. 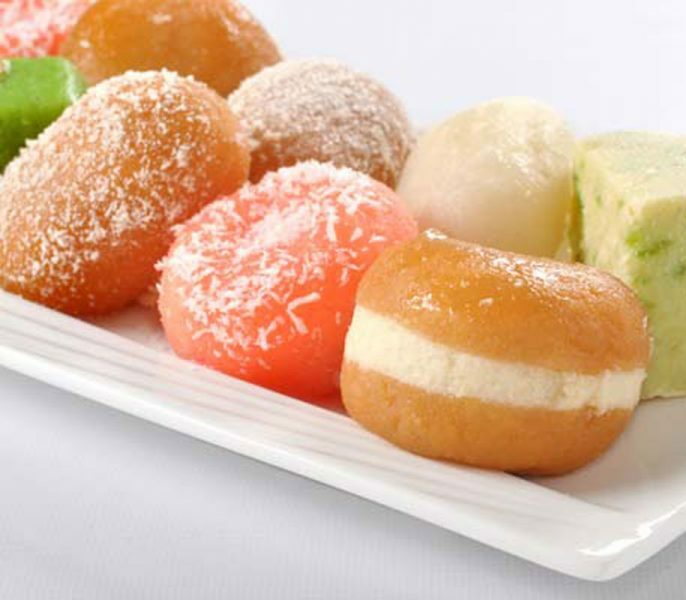 Try the following easy to do recipes at home and indulge yourself. 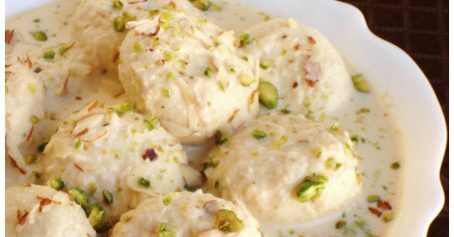 Mix the almond, cashew, pistachio and cardamom powders along with sugar and gulkand to prepare the filling. In another vessel, mix mawa, rose syrup and rose essence to prepare the outer covering. Make small portions of this mixture and stuff it with a small portion of the filling. 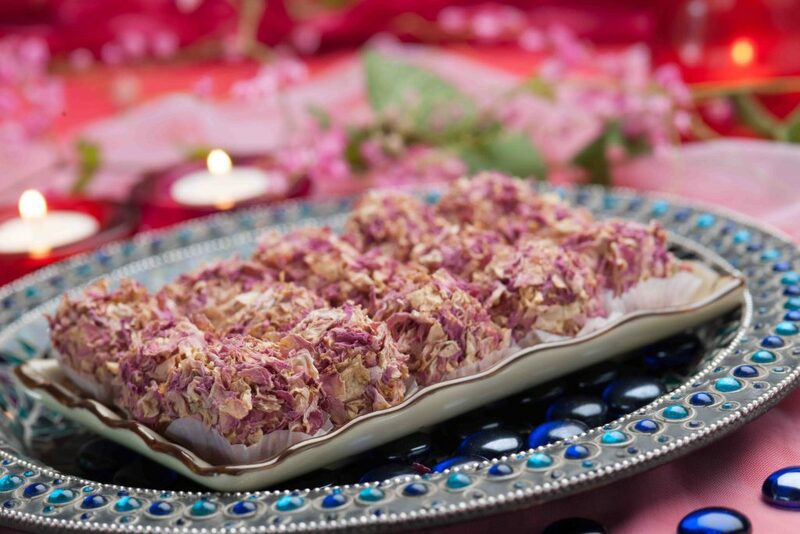 Coat it with rose petals and serve. Heat milk in a vessel. Add sugar, and mix well. Keep stirring. Add ghee to the mixture, and let it cook for another 30 minutes. Add into the mixture cardamom powder and water, and cook for five more minutes till the mixture is slightly dry. Place the mixture in a dish, and leave it open to cool. When it cools, decorate with almonds. Cut the mixture with a round mould and serve. Powder the masala cashews, almonds and pistachios and mix in the orange syrup and mixed jelly. Add a little kaju kunda to it and mix well. Divide the mixture into balls of 8 g each. 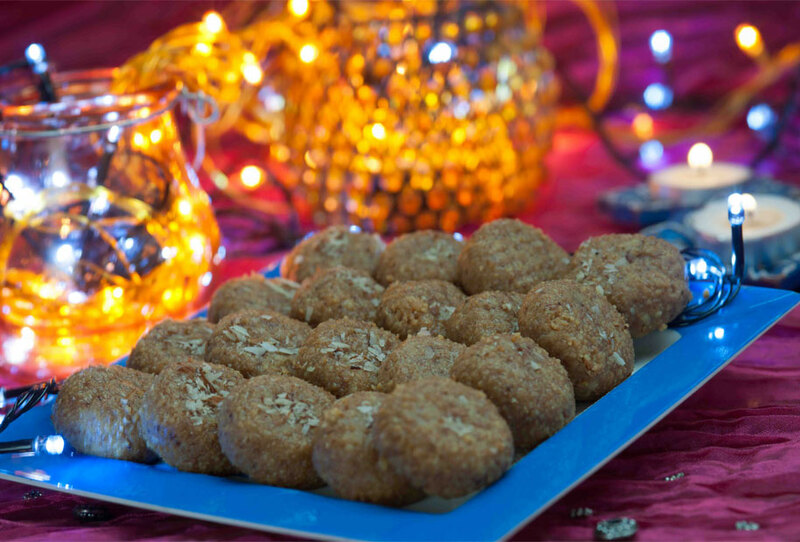 Take the remaining kaju kunda and cut it into balls of 8 g each. Fill the mixture, as prepared above, into these balls by gently pressing it into them. 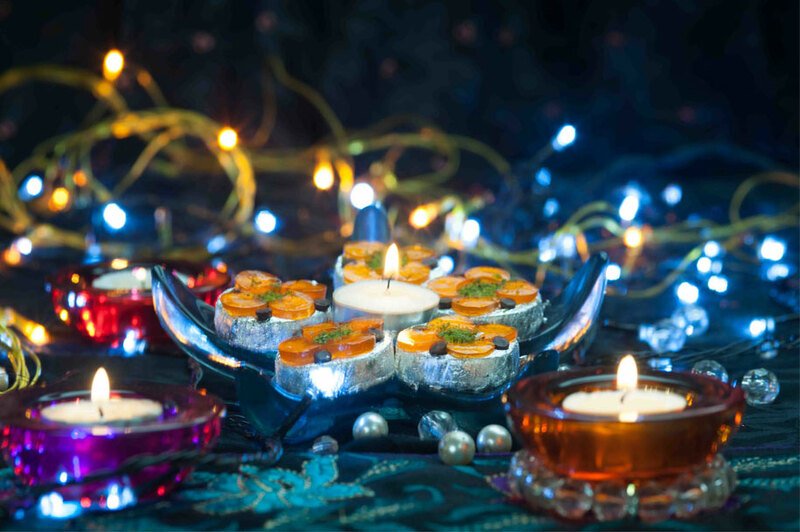 Press the balls to make flat patties, cover with silver warq and decorate with an orange jelly-flower on top. Garnish with green pistachio dust and chocolate chips. Serve.